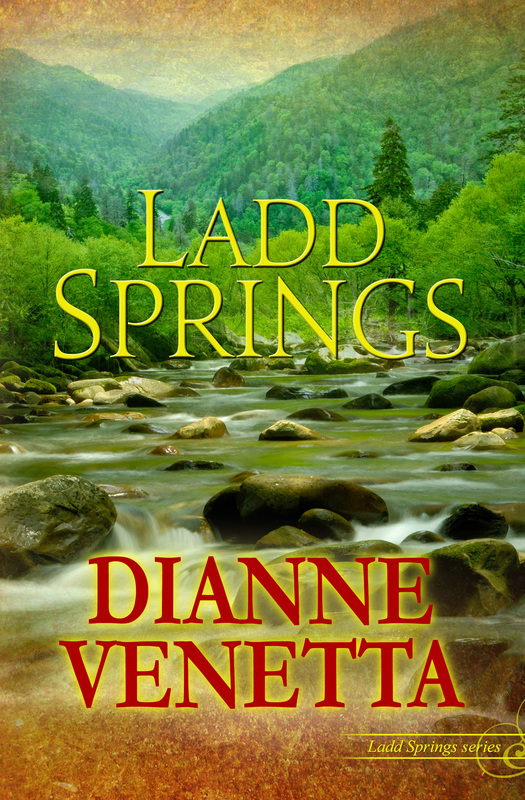 Introducing Ladd Springs, my new mystery/romance series set in the eastern Tennessee mountains! Five books in all, the explosive finale releases later this month! Now I realize we’re pulling up on the holiday season and for most that means baking cookies, fruitcakes or anything with cranberries, but in the South we never miss the opportunity for a good old-fashioned piece of cornbread. Happens to be a delicacy around my house! So, in light of this and my brand new series, I’m going to share my recipe for cornbread today! Course, all cornbread is not created equally. You stop anyone on the streets in ABC town in the South and ask them what makes for the perfect cornbread and you’ll get a different answer. Some like it sweet, some like it crunchy, some like it hot (toss in a few jalapenos Annie Grace!) while others like it pancake style. But no matter who you talk to, they’ll all agree—there’s nothing better than a warm piece of cornbread to comfort you through the cold weather. To be completely forthright, we took her basic recipe and modified from there. Frankly, I prefer her recipe, only not oven-baked like she always did, but pan-fried, with lots of yummy butter to make it a beautiful golden brown. My apologies to my healthy friends—this recipe is anything but. But it’s oh-so-delicious and simple to make! However, there’s one modification both my mother and Delaney would approve and that’s Grandma Lulu’s way… Combine the buttermilk, cornmeal (self-rising), salt and pepper and whisk until smooth. Heat a small cast iron skillet to medium on stove top. 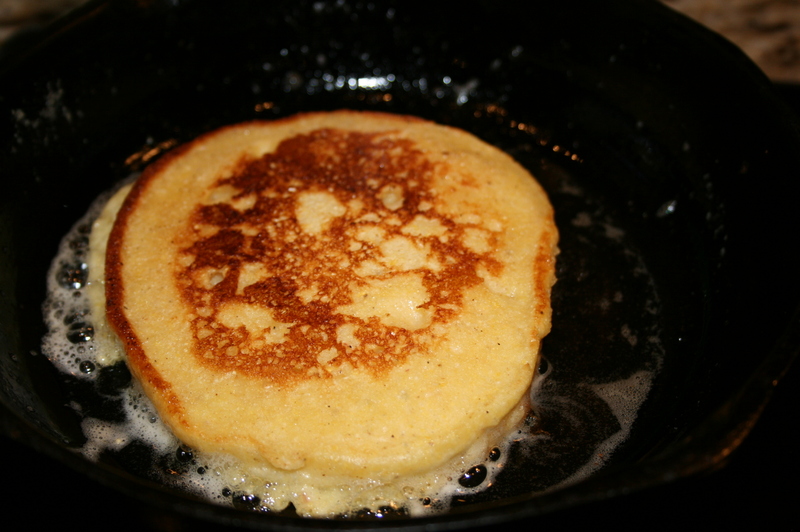 Melt a slice of butter in pan, then pour a 1/4 cup of batter into the pan, spreading it out pancake style. They’re crazy as dizzy goats, I tell you. My corn cakes tasted nothing like breakfast pancakes. In fact, Grandma Lulu’s method is my favorite way to make cornbread. And there you have it. Two methods, two schools of thought, but to me, cornbread any way you cook it is a compliment to a traditional southern meal, or simply divine served on its own. You’ll find this recipe in the back of my book, Ladd Springs, as well as on my garden blog: BloominThyme.com! Thanks for having me today and Merry Christmas! Delaney Wilkins finds herself at odds with hotel developer Nick Harris over a deathbed promise and a mysterious find in the Tennessee forest. Both are after title to Ladd Springs, But Ernie Ladd, current owner of the property and uncle to Delaney, is adamantly opposed to them both. Book is also available via all other ebook and bookstore outlets. 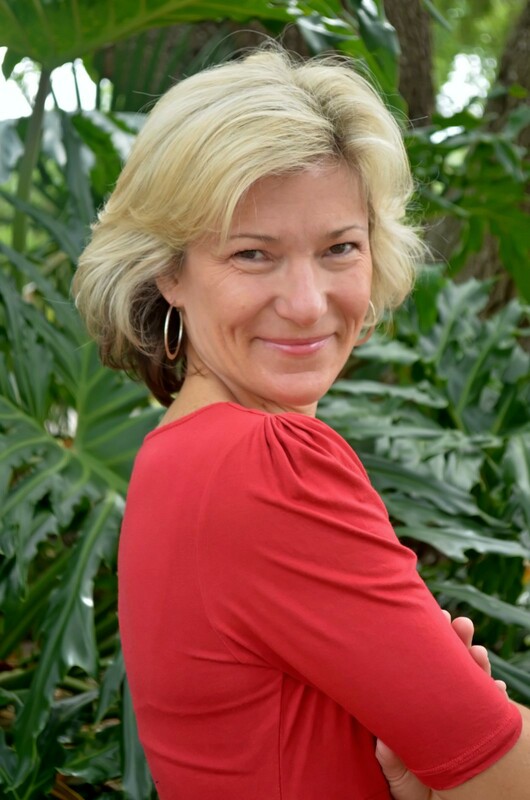 Dianne lives in Central Florida with her husband, two children and part-time Yellow Lab–Cody-body! When not whacking away at her keyboard crafting her next novel you’ll find her in their organic garden chasing grasshoppers and plucking hornworms all while drawing wild analogies between kids and plants and men. Definitely men. A girl’s gotta have fun, right? When she’s not knee-deep in dirt or romance, Dianne contributes garden advice for various websites and volunteers in her kids’ school garden (a crazy existence to be sure). But at the end of the day, if she can inspire someone to stop and smell the roses–or rosemary!—kiss their child and spouse good-night, be kind to a neighbor and Mother Earth, then she’s done all right. Let me know if I’ve missed anything!! 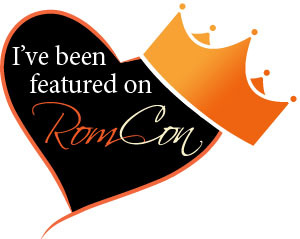 Thanks Dianne for joining me at my blog today. It has been a treat! I remember eating cornbread with syrup on it at my grandmothers when she’d fry it up like a pancake.